Technology and Kids education are reaching an important crossroad. These days kid’s have access to various technology devices ( smartphones / Tablets / Laptops). The world of smartphones has also made it possible for kid’s to browse through many choices in terms of available App’s. 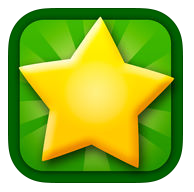 However, its important for parents to help their kid’s make prudent choices of which apps they pick. 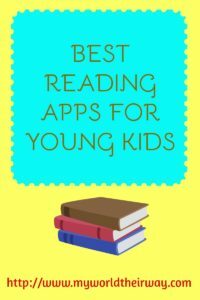 Here are some of my must have apps for providing a fun and interactive reading experience. 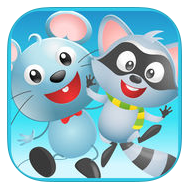 This app is targeted for kids aged 3 to 5+ years old. 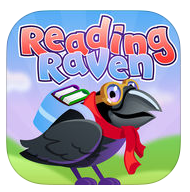 It provides a strong foundation for reading skills from pre-reading and phonics right up to reading full sentences. It also focuses on letter recognition, 3 letter word building, word tracing and reading small sentences. Kids can also record and play back the words they learn. To read fluently, it is important to know the sight words. Sight words, basically, are those words which a kid should immediately recognize when they see it, like, “he”, “she”, “the”,”could” and so on. 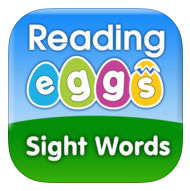 The app teaches the sight words through fun game. The child starts with 3 free lives per level, and in order to survive has to crack open the flying eggs with the right sight word. When a bad egg or a distraction like random words, animals or objects are swiped, they will lose a life. Eggy 100 makes learning sight word fun and interactive. Sequencing, basically means to divide a story into different part, beginning, middle and ending. This is a critical skill required to comprehend a story and for creating your own storytelling. Sequencing with Milo, is sequencing and storytelling app for young kids where they have to place three related activity picture cards ( eg Milo the mouse eating a sandwich ) in correct order ( first, next, last ) for the story to come to life in a brief cartoon. It is a building block for increasing comprehension in younger kids. It’s simple, interactive and fun, educational website for 3-6 year old kids. It provides a variety of reading material on different levels from beginning phonics, sight words, fiction and non-fiction stories to tongue twisters, plays, poetry and fables. There are seasonal activities, calendar activities, fun games, and so many entertaining activities that reinforce learning. Some of the content is free and the rest can be unlocked for a fee of $35/year. 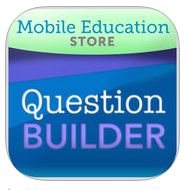 Question Builder is a critical thinking app which help elementary aged child focus on abstract thinking and to create responses based on inference. Kids see a cartoon picture and hear a question related to that picture. Then they have to select an answer from the multiple choices provided. The app can be customized to select the difficulty level of the questions .It is appropriate for kids who are already reading independently. 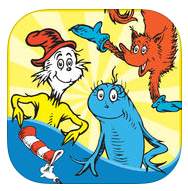 This is basically a digital library of the beloved Dr. Seuss books. There is a collection of 55 books which are divided into four categories: Bright and Early Books (5), Beginner Books (10), Big Books (27), and Short Stories (13). All the books provide fun imaginative reading experience. Kids can also record their own voice to have a personal touch to the reading experience. There is a 7 day free trial period before you decide to subscribe. 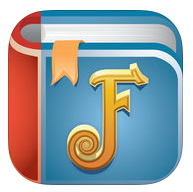 Subscriptions are monthly ( $14.99/month), yearly ( $49.99/year ) or a one time in app purchase of entire library for $99.99. Farfaria is popularly known as Netflix of Children’s books. You can download the app for free, which allows you to read 1 book for free every day but beyond that you need to pay a subscription fee of ($4.99/month ) to unlock the unlimited edition. You can choose a book based on your kids reading level. Kids can choose to read the book themselves, listen to it or read-along. 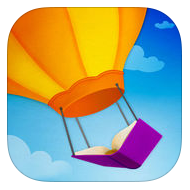 The words are highlighted in “Read-to-Me” option which helps in the reading skills of the young readers. LeVar Burton Kids Skybrary is a digital ebook library covering a wide range of educational topics which are grouped together by themes based on child’s interests ( action adventure, animal kingdom. magical tales etc ). At the end of each book, there is a short clip on one of the educational topics. It also provides a dashboard for the parent to track their kids reading like books read, time spent per book. Once the one month free trial period is over, there is a monthly subscription of $5.99/month or $29.99/six months or $39.99/year. 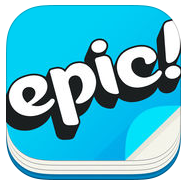 Epic is a digital library of ebooks with a wide selection of best children books for kids in the age group 2-12 years old. You can search the books by categories or by keyword. It also provides some books in Spanish. Once the book is opened, it gives a little preview of the book, approximate reading time, reading level and author. There is also a read-to-me feature for early readers. Apart from reading the book, you can also solve quizzes and watch educational videos from source like National Geographic kids. Once the 1 month free trial period is over, there is a monthly subscription of $7.99/month. Here are couple of more apps which have been recommended to me by my friends. What are your picks. Let me know in the comment section. Pinning this post for later — anything to keep my son’s love for reading strong and growing! Thank you Rachael ! Really apperciate it.